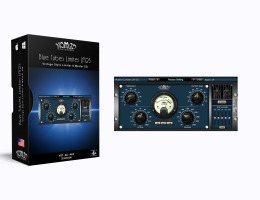 The BT Limiter LM2S is an easy-to-use tube emulation limiter. The straightforward controls and out-standing sound make this limiter the perfect tool for mastering. In addition to the basic limiting controls (Peak Reduction, Attack, Release, and Output Gain), the LM2S also includes a 5-band EQ. This allows you to address those final sonic details in a mastering session while increasing the apparent loudness of your mixes. Variable Attack and Release times. 5 Band graphic equalizer with Pre/Post compressor.